In this newly revised and updated fifth edition, Robert Harley, editor in chief of the Absolute Sound magazine, tells you everything you need to know about buying and enjoying high-quality hi-fi. With this book, discover how to get the best sound for your money, how to identify the weak links in your system and upgrade where it will do the most good, how to set up and tweak your system for maximum performance, and how to become a more perceptive and appreciative listener. Just a few of the secrets you will learn cover high-end sound on a budget, how to do it cheap and still do it right; five system set-up mistakes and how to avoid them; how to make your speakers sound up to 50% better, at no cost; how to choose and set up a computer-based music system; how to find the one speaker in 50 worth owning; and why all 100-watt amplifiers don't sound the same. 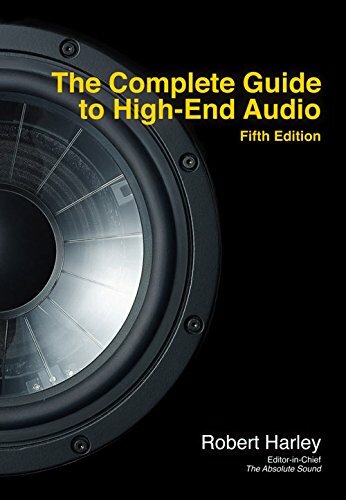 Since the first edition's publication in 1994, The Complete Guide to High-End Audio has been considered the essential reference on high-quality music reproduction, with more than 150,000 copies sold in five languages. If you have any questions about this product by Acapella Publishing, contact us by completing and submitting the form below. If you are looking for a specif part number, please include it with your message.